Nigeria’s senior national women’s basketball team, D’Tigress, have emerged champions of the 2017 FIBA Women’s Afrobasket. D’Tigress won the title on Sunday evening after defeating strong rivals Senegal 65-48 in the final. Trailing by six points from the first quarter, the Nigerians fought back to win the second quarter 21-10 points. D’Tigress never looked back as they extended their lead by winning the third quarter 15-7 points and the fourth quarter 17-13 points. Point guard, Osaretin Ekhator, emerged top performer for Nigeria with 13 points, seven rebounds and two assists. 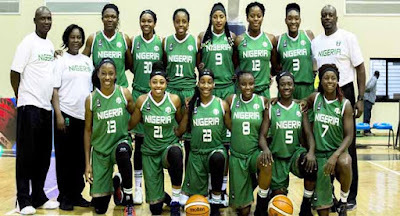 Following their victory, Nigeria also qualified for the FIBA Women’s World Cup in Spain next year. UP D'TIGRESS!